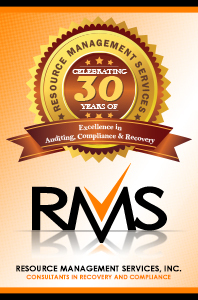 Resource Management Services, Inc. (RMS) is nationally recognized as a leader and innovator in the collection and recovery industry. Collection, compliance and recovery industry leaders have chosen to partner with Resource Management Services, Inc. because our work is built on a solid foundation of ethics, experience, reliability and quality. Oversight and auditing of third party vendors has been the core of our company's products and services offerings since our inception in 1986. Through our extensive consulting work with companies throughout the United States and abroad, we have found that “people do what you inspect, rather than what you expect.” For this reason, we have always encouraged our clients to develop, implement and communicate comprehensive, objective compliance and oversight programs. We provide them with the information, tools, techniques, training and resources they need to succeed with these programs, either independently or with our assistance. Resource Management Services, Inc. has helped hundreds of organizations ensure compliance with laws, rules and regulations, while also improving efficiencies and minimizing risk. Effective vendor oversight not only protects the consumers, but creates stronger and more effective relationships between the client and the vendor. By providing an independent, unbiased source of this audit and oversight, Resource Management Services, Inc. has worked with many of the largest banks and consumer financial services providers, as well as many other industries, including retailers, telcom, utilities and more. Resource Management Services, Inc. focuses on supporting their client’s goals of minimizing risk while collecting on delinquent accounts. Whether creditors are collecting with internal efforts, or through partnerships with outsource providers and other industry vendors, Resource Management Services, Inc. provides the client with reliable, insightful and innovative consulting services, compliance oversight with a concentration on protecting the consumer while protecting the organization. The synergy of our combination of products and services - compliance management systems, third party oversight, compliance and performance auditing, consulting, research and benchmarking, training courses, Recovery Management Network sponsorship, and our conferences, Collection and Recovery Solutions and Debt Connection Symposium and Expo, provides the opportunity to continuously exceed expectations for our clients. We are proud to be a PCI compliant and woman-owned company. 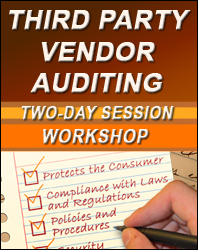 The conference is geared for Collections, Recovery, and Debt Sales professionals from Creditors, Healthcare, Collection Agencies, Collection Attorney Firms, Debt Buyers, and Related Industry Vendors. Maximizing recovery on delinquent accounts is a complex job. The agency relationship is not as simple as handing over the accounts and saying “collect it!” Sure, agencies work on commission and would like to collect all possible dollars. However, further review indicates that a complete agency management program can yield substantial increases in the net return to your company. For many recovery managers, it is an issue of time, not inclination. Certainly we all want to do the job to the best of our ability. The demands of the recovery professional can be great and far reaching. Time to manage agencies is sometimes at the bottom of a lengthy To Do List. And, if we were able to accomplish just about everything on our To Do List, some well meaning boss would probably think that means we need a bigger list. So, we begin to realize that we have only so much time, and we'll need to adjust our management of the agency relationship based on that fact. DebtConnection.com is an internet resource that combines a user friendly format with a powerful database search engine and decision making capabilities to connect Debt Sellers, Debt Buyers, Creditors and Debt Owners, Collection Agencies and Attorneys, and Industry Product and Service Providers. For more information, check out our sister corporation's website www.DebtConnection.com. All images and content, unless otherwise noted, are copyrighted and a product of Resource Management Services, Inc., and may not be used without permission. Some artwork is trademarked and copyrighted by their respective owners and noted where known. No images or content on this site may be reproduced or distributed without consent of Resource Management Services, Inc. or the copyright holder. Resource Management Services, Inc. is a service mark of Resource Management Services, Inc.
10440 Pioneer Blvd. #2, Santa Fe Springs, CA 90670. Contact 562-906-1101 if there are any questions.